What are Tuesdays without tacos? The recipe below brings the taco back for low-carb eaters. It’s the perfect way to enjoy tacos without blowing your macros out of the water. I love this recipe because even my low-carb family members enjoy it. 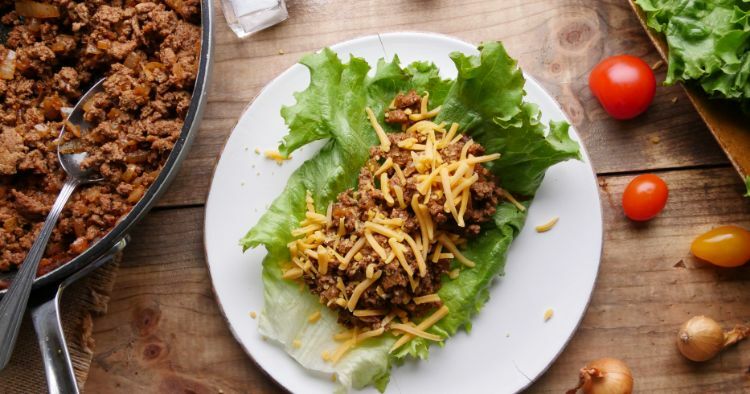 They can use lettuce wraps, as in the recipe, or substitute tortillas or taco shells. For extra convenience, set up a taco bar with lots of toppings—shredded cheese, sour cream, guacamole, salsa, diced onion, etc.—and let people build their own. Heat the olive oil in a large skillet set over medium-high heat. Add the onion and cook, stirring frequently, until softened, about 4 minutes. Add the garlic, chili powder, cumin and paprika, and cook, stirring, for about 30 seconds more. Add the turkey and cook, breaking the meat up with a spatula, until thoroughly browned, about 6 minutes. Add the chicken broth and reduce the heat to low. Let simmer until the sauce has thickened, about 5 minutes. 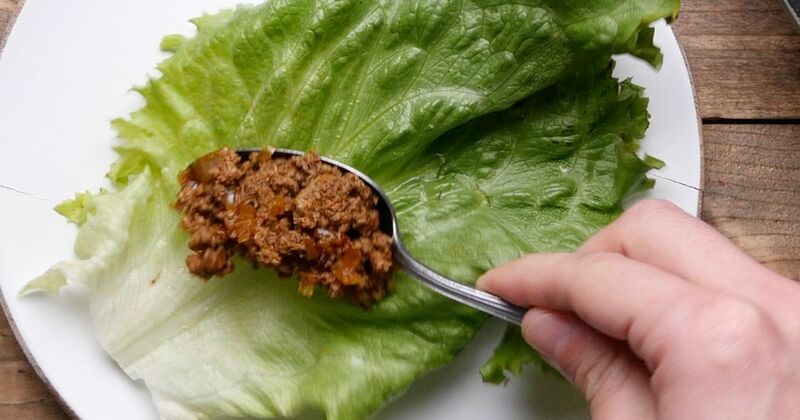 To serve, spoon the meat mixture into the lettuce leaves, and top with shredded cheese.